Ryanair further increased amount of destinations served from Lisbon and made officialy their base offering 9 routes. 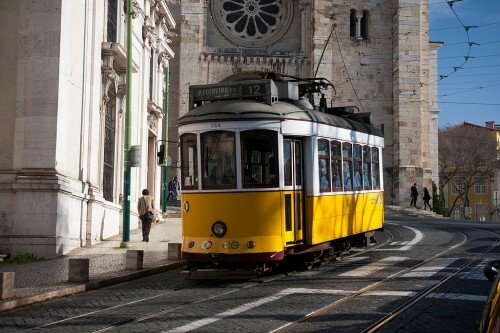 One of the cheap connections is between London Stansted and Lisbon with tickets starting at just €52. There are 2 flights per day between these two cities so you can choose if you prefer morning or evening connection. Price is valid if you travel with cabin luggage up to 10 kg. There’s plenty of other slightly more expensive flights, we listed just the cheapest options for you. Lisbon has wide range of cheap and great value accommodation options, no matter if you look for simple guesthouse or luxurious hotel. We recommend hotels close to city center from where you can walk all around the town. « Cheap flights to Ireland: Prague-Dublin for €58!